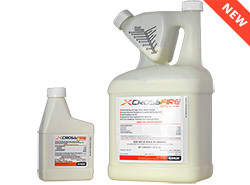 Homeowners, property managers, and pest control professionals often prefer to use insecticide concentrates as they’re easier to apply in large areas and are generally a better value for the given volume. There are a lot of pump sprayers on the market for concentrate spraying. 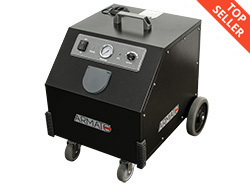 These allow the operator to apply large amounts of insecticide with relative ease. However, these sprayers all feature the same flaws in usage: you have to manually pump them to get enough pressure to spray, and you have to stop spraying and pump again after the pressure drops. That’s where the Green Gorilla ProLine sprayer comes in. This is a battery-powered sprayer with a smart pressure technology that ensures you’ll never have to use a hand pump again. 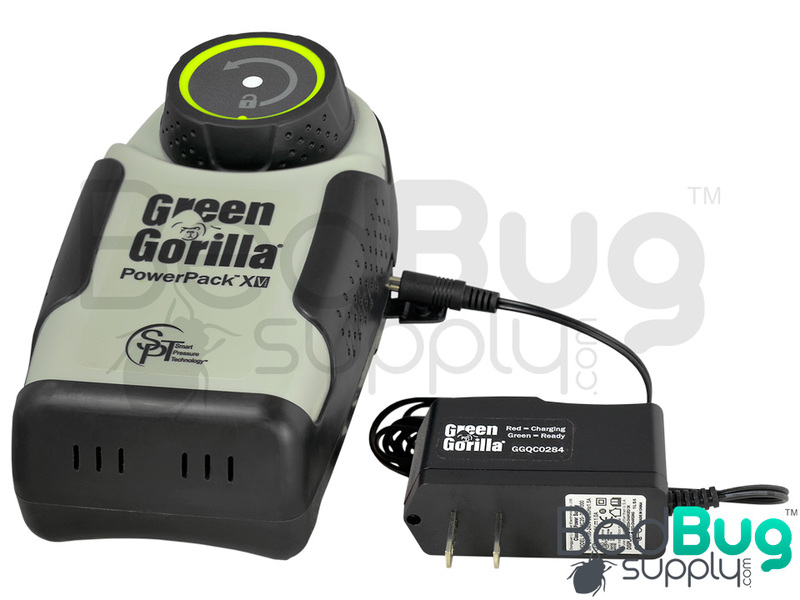 The power pack is the most unique development in this new product. It’s innovate, sturdy, and easy to use. It just snaps into place and starts building pressure as soon as you turn it on. 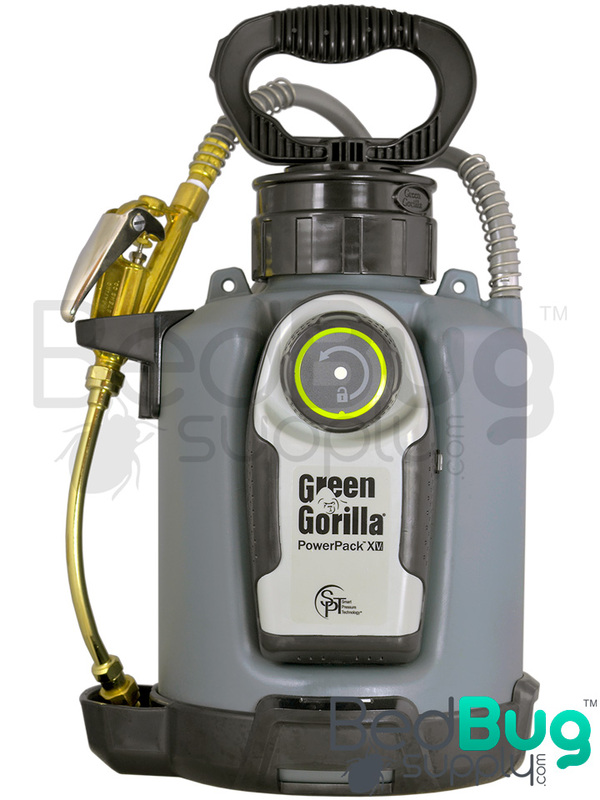 Unlike traditional powered sprayers, theGreen Gorilla ProLine pressurizes from the top to the bottom to focus on the empty space in the tank, where the pressure is actually applied. You can use the ProLine in crack and crevice treatments or broadcast spraying, indoors and outdoors, as long as you’re following the label instructions of whatever insecticides you mixed in the tank. Unlike traditional sprayers that vary in pressure, the ProLine offers a consistent spray output over hours of use. The included extension wand has an adjustable nozzle so you can switch from a light cone misting to a strong, course jet stream. The ProLine system is uniquely different from other "powered" sprayers. 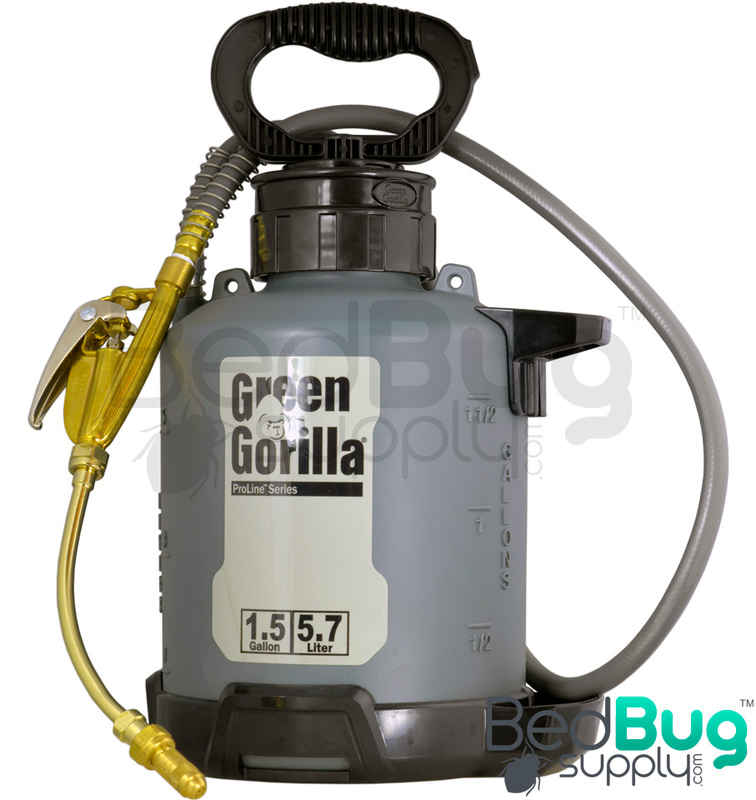 The Green Gorilla ProLine pressurizes the air in the tank for efficient and consistent application of material vs. pumping the tank contents directly. By pressurizing the air in the tank, the life of the rechargeable lithium ion power cells are maximized due to the latest power density technology. This results in a full day of spraying on a single charge. 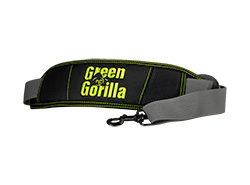 Smart Pressure Technology (SPT) is unique to the Green Gorilla Systems. It utilizes state-of-the-art technology to precisely match the fluid pressure to the requirements of the wand tip. This technology allows you the peace of mind to focus on delivery for a more precise application of your product. SPT incorporates sophisticated microprocessor control of a compact high-volume compressor combined with an advanced long-life MEMS piezoresistive pressure sensor to consistently maintain the same tank pressure all the time, every time. Every unit is fully tested and precisely tuned to control tank pressure within 2 psi of the optimum pressure for efficient and consistent application of material. Not worrying about stopping to pump means you can concentrate on delivery, saving you time and money, while providing your customer a higher quality of service. I've been using a pump sprayer for 15 years. The pressure is always different as you slowly let out the spray so your constantly pumping to keep a good stream (PITA). This thing is cool. You just press a button and that's it. One charge lasts me about 3 days so I normally charge it just twice a week. This thing is light, rigid and built to last. I just wish I hadn't had to wait 15 years for someone to come up with this thing. If you are in the industry, this should be on your truck. Reviewed by: Roy from New York, NY.